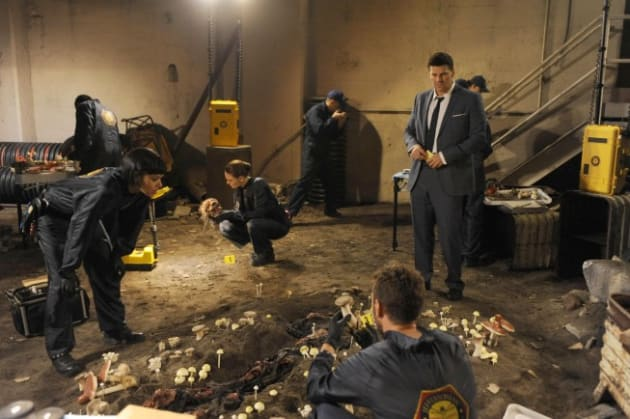 The team uncovers a body in a dangerous neighborhood on Bones. "The Maiden in the Mushrooms" is the 21st episode of the show's eighth season. 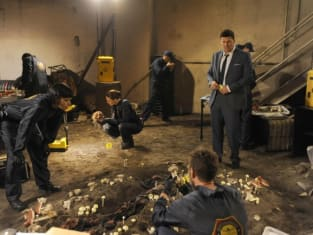 Bones Season 8 Episode 21: "The Maiden in the Mushrooms"
Hodgins: Hey, I accept not being rich-rich, but I wouldn't mind being a little richer than we are right now. Angela: We're living off our salaries. It's what people do. Finn: Well, happiness isn't tied to how much money you make. Hodgins: Thank you, Opie, but I'd rather not have Michael Vincent grow up eating squirrel gizzards and hillbilly broth. [to Booth] Well, when it comes to settling conflicts, it's always better to be rational.